Fortunately for you, Sun Trip Preserver vacation travel insurance can reimburse you for the nonrefundable deposits and other costs you’ve incurred. -- Select -- Other Alabama Alaska Arizona Arkansas California Colorado Connecticut Delaware District of Columbia Florida Georgia Hawaii Idaho Illinois Indiana Iowa Kansas Kentucky Louisiana Maine Maryland Massachusetts Michigan Minnesota Mississippi Missouri Montana< Nebraska Nevada New Hampshire New Jersey New Mexico New York North Carolina North Dakota Ohio Oklahoma Oregon Pennsylvania Rhode Island South Carolina South Dakota Tennessee Texas Utah Vermont Virginia Washington West Virginia Wisconsin Wyoming Trouble viewing this document? The following questions and answers are provided to assist you in understanding your coverage. Conflicts between this document and the Policy will be governed by the Policy. If you don’t see your question answered below, please call us at 1-866-889-7409 or send a message to RedSky@ArchInsurance.com. 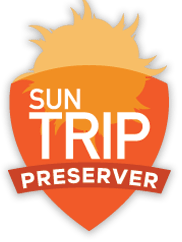 Carolina Retreats' Sun Trip Preserver protects you before your departure, during your trip, and on your home. A wide range of unforeseen events that could cancel or interrupt your travel plans. Coverage includes trip cancellation, trip interruption, travel delay, baggage delay, lost or stolen personal items, emergency accident and sickness medical expense and emergency evacuation, and 24-hour assistance services. What is a waiver of pre-exiting medical condition? Can you ever decide to cancel your trip preserve policy?